Laminate is resistant to wear, but sooner or later various defects can appear on it - scratches, chips, cracks, bulges. The likelihood of such problems increases with violation of the technology of laying the floor covering or the basic rules for its operation. 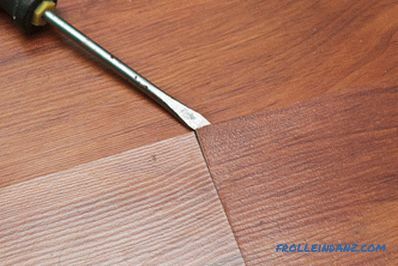 In this article we will explain how to repair the laminate with their own hands. By following our instructions, you will be able to restore your lost attractive appearance to your floor covering and protect it from further destruction. Did you move the furniture without using special substrates or dropped a heavy object on the floor, and scratches instantly appear on your laminate. Sooner or later it can happen even with the most seemingly careful handling of the flooring. There is nothing fatal in this - you can easily restore the appearance of the laminate, if you carefully read our step-by-step instructions on how to remove scratches on the laminate. However, if the scratches are too deep, the only correct solution would be to replace damaged boards. If you want to avoid scratches on the laminate, you should put special "mats" under the legs of the furniture when moving it. In addition, before going around the house in shoes, make sure that it is perfectly clean, as grains of sand and dirt particles adhering to the sole can cause many small but unsightly scratches. Clean the laminate regularly using only the products recommended by the manufacturer for this purpose. Before buying a laminate repair kit, you must make sure that you are able to fix the scratches using these products. Carefully evaluate the damaged area to be sure that the repair is possible, otherwise you should think about replacing the damaged board with a new one. The easiest way to eliminate scratches on a laminate is to use wax crayons (for minor scratches) or special putty (for deeper scratches). You will need the latter when repairing laminate chips. Make sure the repair kit is the same color as your floor covering. If the scratches are too deep, you will have to replace damaged laminate boards. 15 minutes to seal several scratches. Step 1. Buy a wax crayon whose color is close to the color of your laminate. There are many types of wax crayons on the market (at a local hardware store or in a specialized online store), so it’s easy for you to find the one that suits your needs and tastes. If you do not know what wax crayons are, contact the seller of the store with the question "How to seal up scratches on the laminate?" - he will easily solve your problem and help you choose the right color. Step 2. Clean the scratches with a vacuum cleaner and paint them with a waxy chalk. Then, using a dry cloth, remove excess wax around the scratch and polish the repair area. If you are not satisfied with the result (the scratch is deep enough), you can try filling it with putty. Step 1. Take a piece of your laminate as a sample and go to your local hardware store to buy a repair kit that fits your needs you by color. Do not save on quality, especially if the scratches are deep. Step 2. 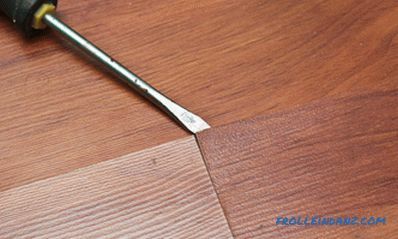 Use a spatula to fill the scratches on the laminate with paste. We recommend that you practice using unnecessary pruning of the laminate board before attempting to do it on the floor covering to make sure that the paste matches your laminate color well. Remove excess paste with a clean cloth and allow the reconstituted area to dry for a couple of hours. In some cases it is impossible to solve the problems of laminate in the form of chips, scratches or water damage with the help of a repair kit, there is only one way out - replacing the laminate board. This is easy to do if you use the right tools and methods. In our step-by-step instructions, we will explain how to replace one laminate board. There are several ways to replace a damaged laminate. A simpler, but at the same time, a longer way is to dismantle the laminate. Start with the wall nearest to the damaged board. 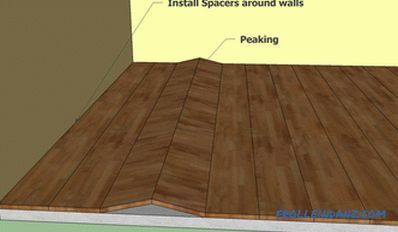 Remove the plinth and disassemble the floor until you reach the problem area.After replacing the damaged board, you must restore the disassembled coating and secure the baseboard in its place. If for some reason you cannot remove the baseboard or the damaged laminate boards are in the middle of the room, you can try a replacement without thoroughly disassembling the flooring. This technique is more complicated, but if you do repair and construction works with your own hands, this is a usual thing for you, you will easily cope with this task. New laminate board. Circular saw. 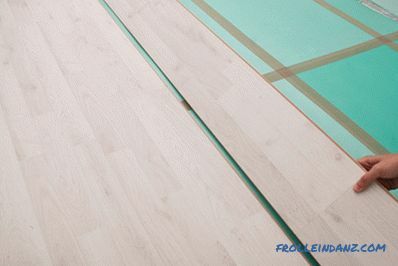 Before laying new laminate boards, be sure to clean the surface with a vacuum cleaner. New laminate boards must be of the same brand as the existing ones. Do not stack boards of another brand. Wear safety glasses when cutting laminate. 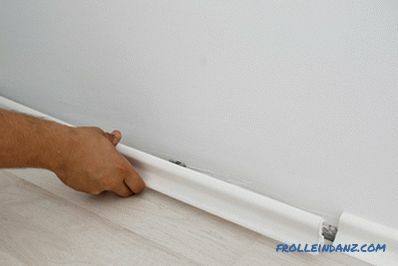 Carefully remove the baseboard on the wall nearest to the damaged board. Work with great care not to damage it, otherwise you will not be able to re-use the baseboard after the project is completed. After you have removed the baseboard, you need to dismantle the laminate, board to board, until you reach the damaged section. To disconnect the boards, each of them should be raised by 45 ° until their ends are free from the slots. When you get to the problem area, you will have to replace the damaged boards with new ones. Work with great care when laying new boards, try to avoid gaps between them. Continue laying the remaining part of the laminate and install the baseboard in its native place. Step 1. 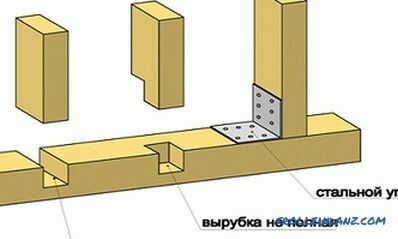 Drill holes in each corner of the damaged board at a distance of 1-1. 5 cm from its edges to avoid damage to adjacent boards. 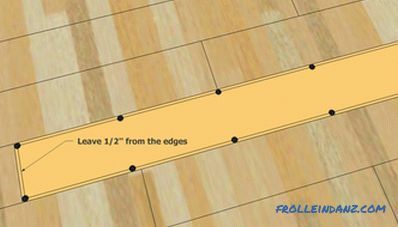 Then make holes along the long sides of the laminate board every 25 cm, as shown in the figure. Preparing for disassembling a damaged laminate board. Step 2. Using a pencil, draw a line connecting the holes. 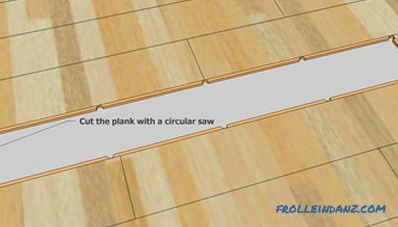 Adjust the cutting depth of the circular saw to match the thickness of the laminate, otherwise you will damage the base of the floor. Step 3. Cut along the drawn line starting from the middle. Use the knife to cut off the short sides of the laminate board. Remove the inside of the old board. Step 4. Remove the remnants of the damaged laminate board and thoroughly vacuum the area. Make sure the adjacent boards are in good condition, otherwise you will have to remove them too. Step 5. Using a sharp knife, cut the lower part of the lock off the new laminate board, on both the long and short sides. Step 6. Apply wood glue around the perimeter of the laminate board and lay it in place. Use a clean cloth to wipe off excess glue and place a weight on top to fix the board in this position. Sometimes, either due to poor installation or due to changes in temperature and humidity, the laminate boards are shifted from their original position or change their volume. As a result, gaps are formed between them. Besides the fact that such gaps greatly impair the appearance of the flooring, over time they can lead to delamination or cracking of the laminate. To avoid such problems, we recommend that you follow our recommendations when preparing the floor surface and laying the laminate flooring. Our tips will help you avoid mistakes in the installation process, which means that such unattractive gaps will not appear on your laminate. First, the acclimatization of the laminate before installation is of great importance. Failure to comply with this requirement is one of the main reasons for the appearance of gaps between the boards. We recommend that you place laminated packages in the room at least 48 hours before laying. Many "craftsmen" who take on this work, neglect the preparatory steps, and ultimately get similar problems. Secondly, the base of the floor must be completely flat. Laminate manufacturers guarantee the quality of the flooring only if this requirement is met.We advise you to use the spirit level to check the flatness of the surface and, if necessary, pour a self-leveling screed. 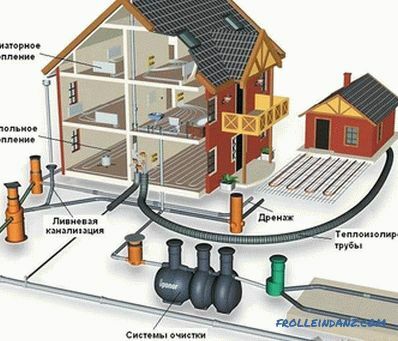 In addition, it is necessary to eliminate in advance all the irregularities of the floor. 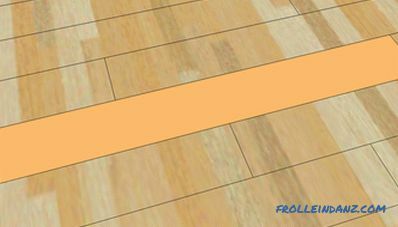 partially or completely, prepare the surface properly and re-lay the laminate. Repair of a laminate without disassembly is permissible only if the gaps in it are quite small. To disassemble the laminate flooring, you must start by dismantling the baseboard. After that, remove the laminate boards, one by one, until you reach the problem area. Remove the problem boards and check their condition. Pay special attention to grooves and ridges. If the boards are in good condition, you can reuse them. If they are damaged, they should be replaced with new ones, otherwise in the long term you will encounter the same problems. 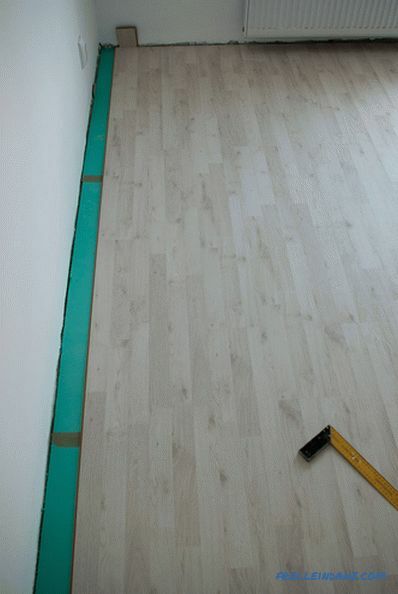 To protect the room from heat loss, smooth out unevenness of the subfloor and reduce sound permeability, it is necessary to use a special substrate for laminated flooring when laying laminate. The substrate comes in rolls and sheets of different thickness, you can easily find the material that meets your needs. 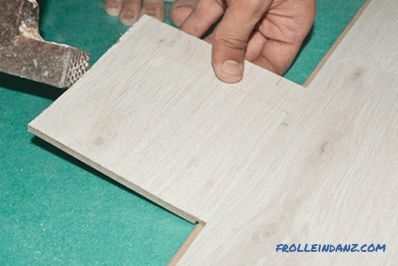 It is important to correctly connect the laminate boards during installation, otherwise very soon there will be gaps between their joints. Clean the combs and grooves of all laminated boards, removing dust and possible solid particles. 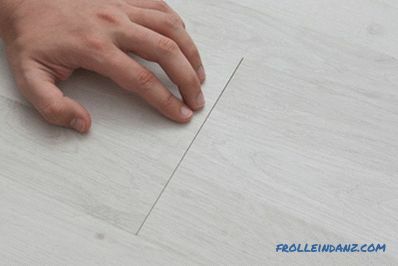 Make sure you lay the laminate in a perfect straight line. Stop if you notice the slightest offset, as it will only increase as you continue working. 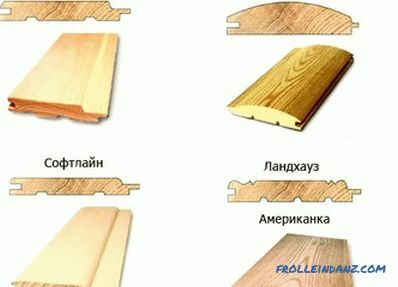 Do not use boards with defects - cracks, distortions, etc. Killing laminate boards to eliminate the gap. If the gaps are greater than 2. 5 mm, then there may be a problem with the humidity of the air. Laminate is sensitive to changes in temperature and humidity, so you must acclimatize it before installation and maintain a constant humidity in the room after. To eliminate gaps, laminate boards can be bonded together by applying glue to the grooves. 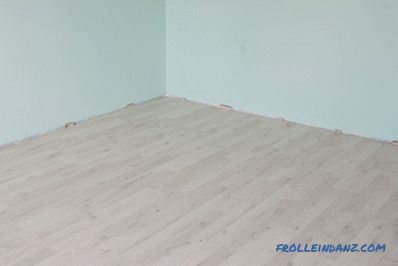 In this case, you need to be sure that you have not glued the laminate to the base of the floor. However, it should be remembered that using this method, you can not, if necessary, disassemble the laminate without damaging it. The gap between the laminate boards. One of the simplest solutions to this problem is the mechanical "closing" of the gap. Try to hide it by hitting the board several times in the direction of the slit with a boot with a rubber sole. If the gap does not decrease, you have no choice but to fill the gaps with color paste (using a syringe) or to rewrite the laminate after leveling the base. Tip: Do not use too much force, otherwise you may damage the laminate. In addition, wash your shoes thoroughly before using them to fix flooring problems. Closing the gap with a force action. In our case, this method was crowned with success, since the problem was caused not by poor installation of the laminate, but by a change in air humidity. Since there are many situations in which we cannot control the humidity and temperature of the air in the room, each owner of the laminate flooring needs to take note of this method of easy solution of the problem. Liquidated gap between laminate boards. Blistering is one of the most common laminate problems caused by improper installation. A similar problem occurs when laminate boards "push" each other, with the result that the joint becomes V-shaped. In the photo you can see how not aesthetic looks like a swollen floor. In addition, it squeaks every time you step on it. There are many reasons that can cause laminate to swell. 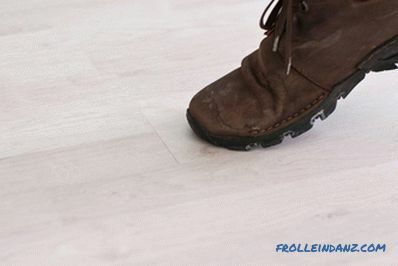 The main reason is that when laying the laminate there is no gap between the floor covering and the wall, as a result of which the boards do not have enough space for expansion. Repair laminate in this case is simple: you must dismantle the board adjacent to the wall and cut it in the longitudinal direction (1-5 cm, depending on the height of the bulge). If the swelling does not disappear, place heavy objects on the surface and leave them for a day. 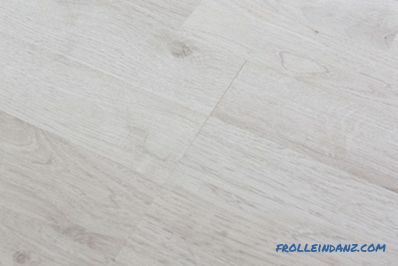 Laminate will not be able to expand even if the baseboard is fixed to the floor.It should be remembered that the laminate is a floating floor, so it should not be fixed to the base or plinths. To avoid this problem, when laying laminate, you must place spacer wedges along all walls. These spacers will keep the gap between the walls and the laminate during its installation. 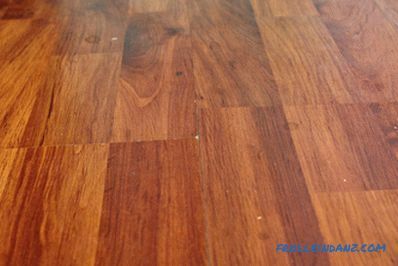 Laminate can expand with time, and the gap left in all directions is necessary to avoid swelling. Tip: If you do not have professional spacers, you can take a few pieces of laminate and place them along the walls. To avoid laminating the laminate, it is not recommended to wash the floor with water or soapy water. Purchase a specially created tool for this purpose - laminate cleaner. The composition must be applied to the floor covering and wipe the surface with a dry non-abrasive cloth. 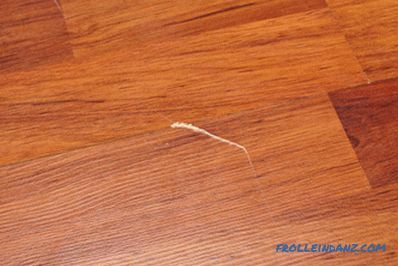 Water accidentally spilled on the laminate should be wiped off as soon as possible with a dry cloth. Every minute of delay increases the risk of delamination of the laminated coating. In the worst case, you will have to replace damaged boards. Now you know how to restore laminate from scratches and chips, eliminate gaps between boards, eliminate swelling. Using our instructions and tips, you can easily repair the laminate with your own hands and return it to its former appearance. However, the best way to solve problems is to prevent them from appearing. Keep this in mind and strictly follow the recommendations of the manufacturer when laying laminate and its subsequent operation.